Two of our three children were born in Switzerland. The experience was profound. The care and attention we received was without compare! As a Canadian birthing abroad I began to see the gaps within the North American culture surrounding the childbearing year. It was this experience, in 2001, while pregnant with our first child that my passion for supporting families ignited. In 2006, upon our return to Canada, my journey in the maternal-child profession began. I enrolled in Birth and Postpartum Doula training with DONA International and have never looked back! Although I was born and raised on Vancouver Island I consider Alberta home. Our family is settled just outside of Sundre, my husband’s home town. Prior to moving here we lived in both Northern and Southern, Alberta which has given me a deep understanding of the current birth culture in our province. For this reason my focus is on repeat and referred clients in Calgary and new client families in Sundre, Olds, Cochrane, Airdrie, Red Deer and all the surrounding areas. I firmly believe rural maternity matters! As an active member of the Alberta birth community I teach group + private prenatal childbirth education classes, attend births as a doula, offer in-home breastfeeding consultations and provide families with postpartum services - including overnight care for families with multiples and singletons. teach the DONA-approved Birth Doula Training program at Mount Royal University (MRU) in Calgary. In addition, I volunteer my time as the Breastfeeding Circle facilitator at the Parent Link Centre in Cochrane and serve as the Vice-President for the MaternityCare Consumers of Alberta Network (MCAN). Where ever you are in your journey, and whatever has lead you here, you are encouraged to connect. Support is available in many capacities and my team and I would consider it an honour and privilege to walk alongside your family however you’d like to define it! Blog Posts - Chavah Childbirth Services Inc.
Erin first assisted us through the birth of our first son. We also had the postpartum visits and lactation support. It was the best decision we made. My husband works out of town and had to leave when my son was 5 days old. Erin made me feel supported and comfortable being alone at home as a first time mom. We recently had our second son this past spring and the first thing we did was call Erin when we found out we were expecting again. We had such a great experience with Chavah Childbirth Services and would highly recommend them. ~A.M. I can’t say enough about our experience with Erin. 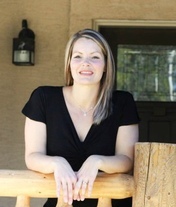 She was our postpartum doula and lactation consultant. This was our second baby and I can’t believe how much I learned the second time around. She is punctual, has great communication, does so much in the community, and was more than happy to help when I needed advice on pumping 6 months postpartum. I recommend her to my expectant friends and I would use her again without hesitation! ~A.G. Erin was superb! We were comfortable with her in our home. She has a gentle way about her and comes with great knowledge. Momma's around here are lucky to have such great help and education. Thanks Erin! ~ M.H. ©2018 Chavah Childbirth Services Inc. All rights Reserved.